Will China tone down its more assertive foreign policy? Straws in the wind suggest that it might. 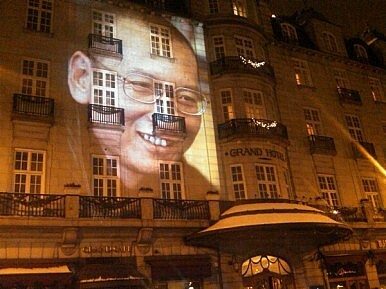 The first indications came from Chinese-controlled state media on December 10—the day the Nobel Committee went ahead with its scheduled function to award this year’s Nobel Peace Prize to jailed Chinese dissident and human rights activist Liu Xiaobo. The Peace Prize is the only Nobel Prize not presented in Stockholm, but in Oslo. And, despite Chinese threats over the prize, Norway ignorered Chinese pressure and went ahead with the prestigious annual event. The presentation ceremoney was attended by representatives of 46 of the 65 countries that maintain diplomatic missions in Norway. And on December 12, China sent some positive vibes toward neighbour India by announcing Premier Wen Jiabao’s intention to still visit India this week, despite the Indian envoy in Oslo having attended the Peace Prize presentation on instructions from New Delhi. India had made it clear that attending the Oslo function had nothing to do with India-China bilateral relations, but its decision to refuse to bow to Beijing's wishes just days ahead of Wen's visit sent a clear message of intent. And after all, Wen has already met Indian Prime Minister Manmohan Singh almost a dozen times this year. It will be interesting to see now how State Councillor Dai Bingguo, one of the most influential people in China's foreign policy making process, navigates regional diplomacy in the coming months—especially in light of the alarm much of the international community has felt at Beijing’s bellicose moves this year.